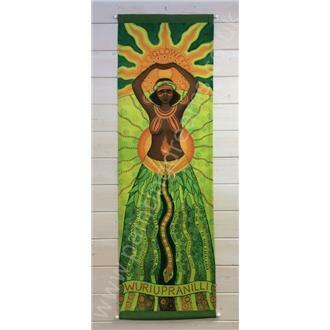 The hanging is beautifully printed on a heavy weight fabric. 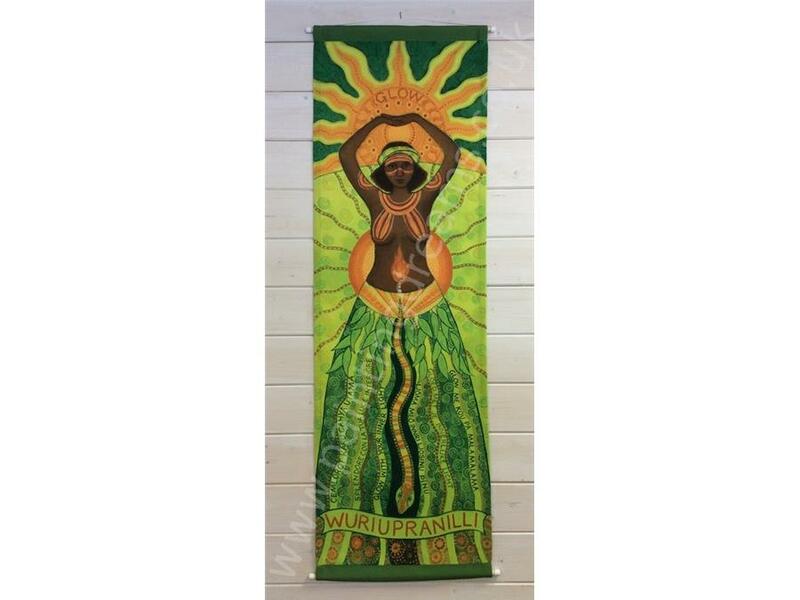 Wariupranilli is the Aboriginal solar Goddess. Her campfire in the east creates the dawn light and, after decorating Her body with ochre each morning, she lights Her Eucalyptus torch from Her campfire and sets off to travel across the sky to Her evening camp in the west. She then disappears below the horizon and puts out Her torch. Then She redecorates Her body with ochre, which stains the sky with beautiful sunsets.